Imagine the ultimate experience, a harmonic blend of delicious Greek specialities & seafood, friendly crew at your service at all times whilst sailing through the deep blue of the Aegean Sea. Sail to the world famous volcano, take in the au-inspiring Caldera views and enjoy your wine on board while relaxing in style. 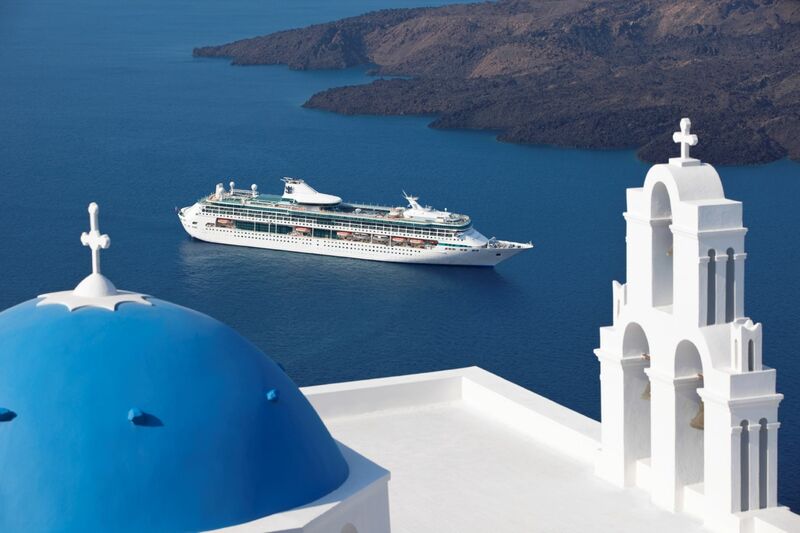 GLC Travel offers a variety of sailing cruises, tours and excursions around Santorini & the Greek Cycladic Islands, to suit all types and preferances. Whether you are on a budget but still want to enjoy the highlights of a sailing experience around Santorini or you dream of taking part in a sailing experience with a more luxurious sensation, we coordinate everything to match you and your personal style. Sailing is the closest thing to dreaming that hands ever did…Don’t just dream it, do it. Since you are on one of the most popular islands of the Cyclades, get to know it. It’s wild, unique and exceptionally beautiful. Are you on a tighter budget than you hoped or just want to experience everything in a more traditional Greek sence, than taking a sailing tour on a traditional wooden caique would be the unique experience for you. 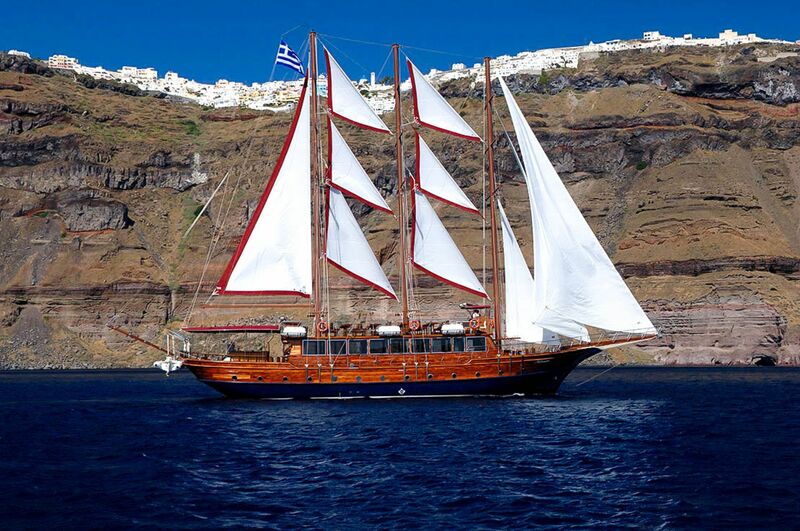 Departing in the late mornings and embarking from the Old port of Fira or from Athinios Port, discover the volcano with a tour guide, learn about the history of Santorini, swim in thye volcanic hot springs and sail to the laid back Island of Thirasia, ending your day watching the romantic sunset in Oia. All sailing tours are on a daily basis, both daytime and sunset.  For any further information or bookings contact us here. 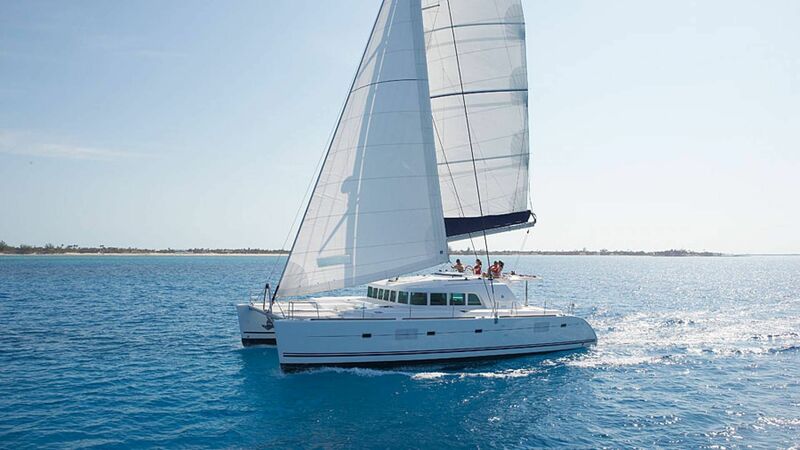 We organize boat cruises with Catamaran and Luxury Motor Yacht. Excursions with this type of boats can take place during morning, afternoon or full day. You can select the type of cruiser that meets your requirements – speedboat, motoryacht, sailing boat – and the kind of trip that you prefer to travel, semi-private or private. The semi-private cruise with cruiser is performed daily with a maximum number of passengers up to 14 people. You can choose a 5-hour morning cruise or a 5-hour afternoon cruise,where it is also provided snack or a BBQ menu according to your preferences. The private cruise is performed daily with a maximum number of 6 passengers. For each additional person there is extra charge. Features BBQ menu or Greek buffet. During the excursion we provide all passengers clean towels, masks, snorkels and transportation service to and from their hotel. The catamaran excursions start from the port Vlihada. The boat passes by the Red Beach and is directed to the White Beach, which is only accessible by sea. We can stop either at the Red or the White Beach. There, you can swim if you want to see the bottom.We provide masks and snorkels. Then we pass by the Lighthouse of the island that lies on the edge of the Cape of the namesake village dating back to 1892. Afterwards,we head to the famous rock of the Indian, also known as the Indian mountain, and our route continues along the caldera, up the Hot Springs where we stop for a hot spring bath with mud from the volcano and the sulfur, as also for scuba diving. MOTORYACHT PRIVATE: 5 hours during morning or afternoon with lunch. SAILING BOAT PRIVATE: 5 hours during morning or afternoon with lunch. SPEEDBOAT PRIVATE: Lunch at a tavern. SPEEDBOAT 7,5 MEASURES PRIVATE: Lunch at a tavern.